It is our pleasure to welcome you to Sunnyside Inn and Suites! 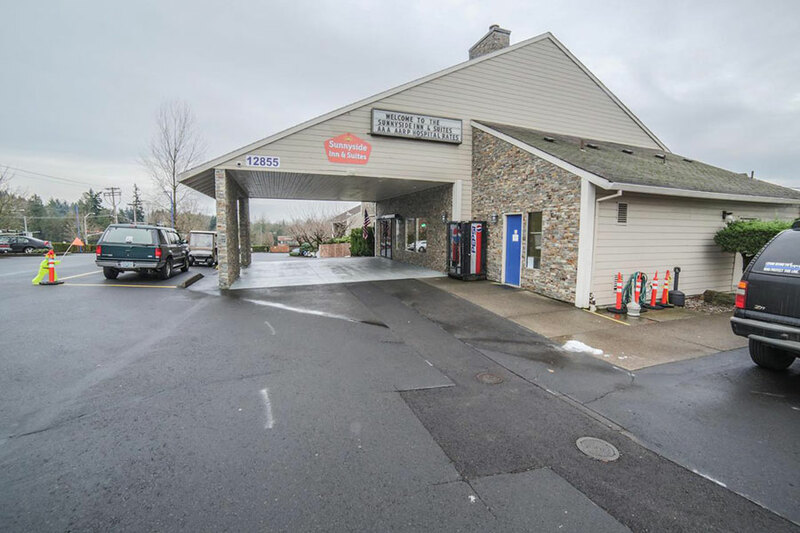 We are tucked away inside the Willamette Valley and located in suburban Clackamas. Portland International Airport is just 20 minutes from our hotel and you can reach downtown Portland in under 30 minutes. As a valued guest, you will discover our hotel offers a relaxing atmosphere allowing you to focus on the experiences you came for. Wander up to Columbia River Gorge for a breathtaking view of Multnomah Falls or spend the day at Jackson Bottom Wetlands Preserve where you’ll see the 1,500-pound bald eagle nest, the only authentic bald eagle nest on display anywhere in the nation. Golfers will enjoy playing a round of golf at the Sah-Hah-Lee Golf Course & Driving Range. We offer an assortment of room and suite styles to accommodate every travel party’s needs. Each guest room and suite offer comfortable king or queen bed(s), a large flat screen television with cable, a fridge and microwave. For mobility assistance, we also offer ADA accessible rooms. 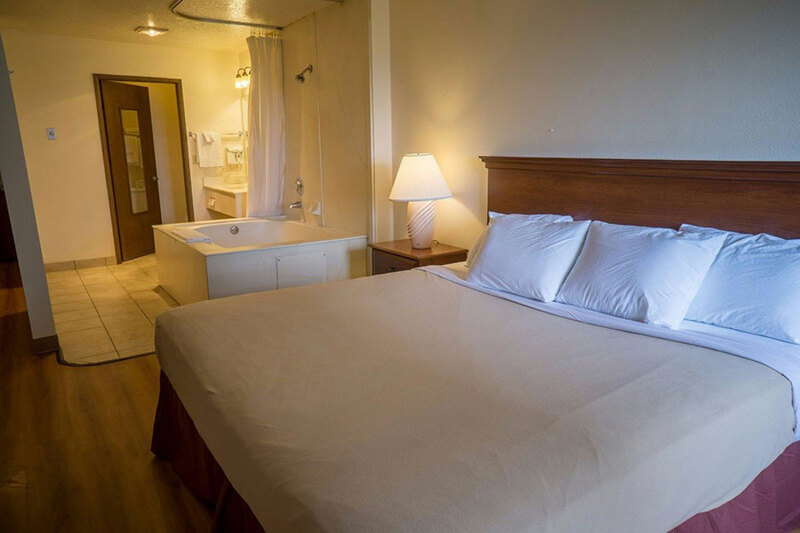 Each guestroom features a spacious bathroom with plenty of plush towels. Our business travelers will be pleased with the large in-room desk and chair, as well as the copy and fax services offered at the front desk. We provide free high-speed wireless internet in rooms and in public areas, on-site parking for cars and large vehicles, and a 24-hour front desk. Additionally, guests will want to take advantage of our seasonal outdoor pool and sundeck. 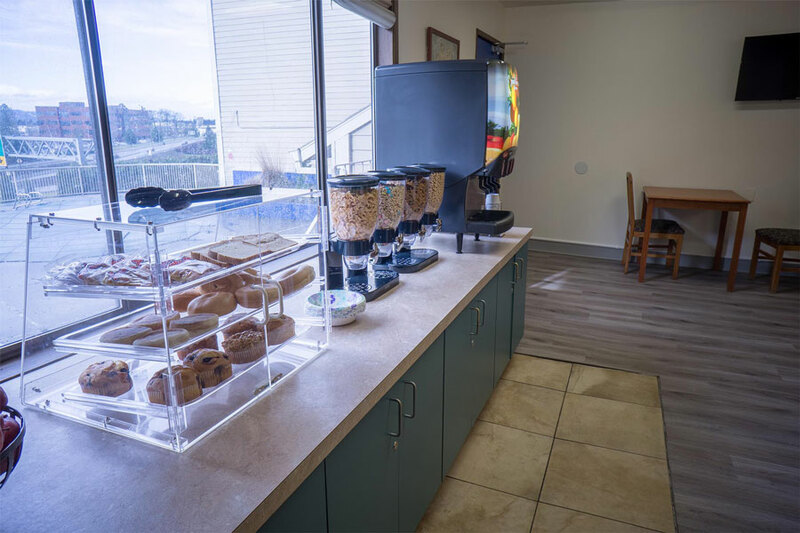 Guests will also appreciate our free continental breakfast offered each morning of your stay available in our comfortable dining area. Next time you are planning a trip to Northwest Oregon, take a look at our hotel. We offer reasonable rates alongside personalized service and wonderful amenities. From the stunning natural scenery of Oregon’s Northwest great outdoors to the unforgettable experiences found in Portland, look no further than Sunnyside Inn and Suites. We would be honored to welcome you as our guest. 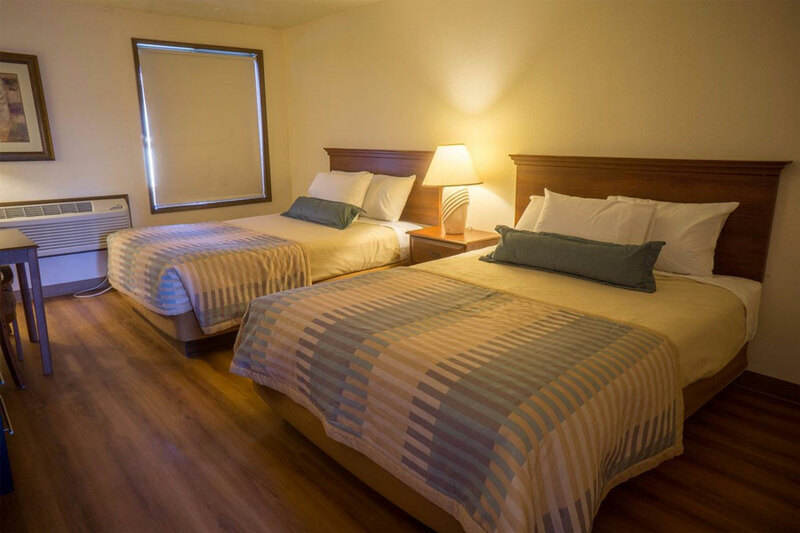 We have the perfect room whether you’re a family on vacation or a couple looking to explore all the attractions available in Northwestern Oregon. Guests will be greeted by warm smiles and a friendly 24-hour front desk staff member upon arrival. Each room is equipped with a fridge and microwave for your convenience. 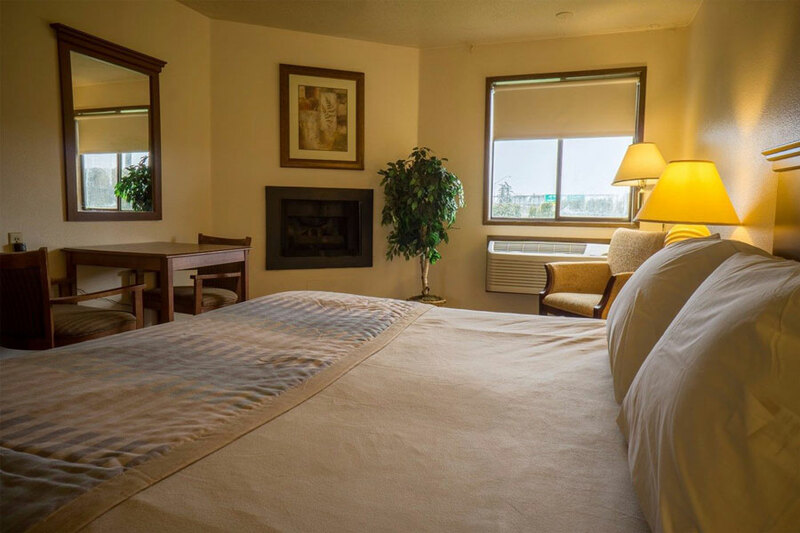 Our Two Queen rooms are a perfect choice for small families enjoying a weekend get-away in Clackamas, Oregon! Each Two Queen room features two comfortable queen beds, a spacious bathroom, free WiFi, and a large flat screen TV. Don’t let the word Junior fool you, you’ll have loads of space with an in-room private jacuzzi. Features you’ll appreciate include a large flat screen cable TV, a 2-person private jacuzzi, and free WiFi for staying in touch with the office or loved ones at home.